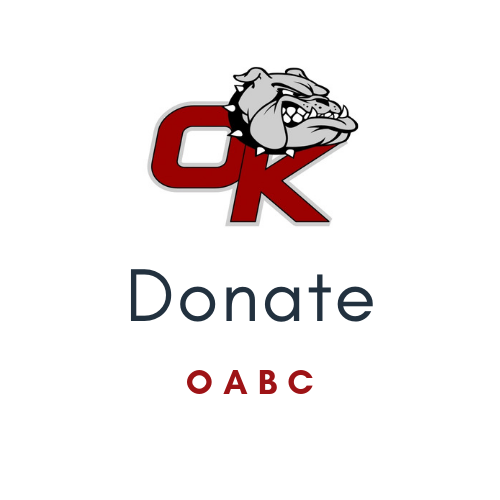 The Okanogan Athletic Booster Club's (OABC) goal is to provide funds in three ways to improve Okanogan High School athletics for student athletes and their fans. We raise funds primarily through memberships and our annual auction. Soon you will be able to help support Okanogan athletics right here with a direct donation. Our funds are primarily distributed in three ways. First, we provide funds to individual sports for high priority equipment, supplies, and uniform needs. Coaches request funding to help offset the cost to purchase annual supplies, replace equipment that is broken or past its useful life, or to make sure our student athletes have uniforms that show true Bulldog pride. Secondly, we provide travel funds to each active student athlete that makes it to state. These funds are provided to the coach to distribute per their team's rules. Finally, we provide scholarships each year to Okanogan High School seniors who played two sports their senior year, had good grades, didn't have disciplinary issues, and are attending a college or trade school following graduation. We have grown our scholarship program from $1,000 per year to over $2,000 per year thanks to the generosity of our donors. Check back here soon for options on how you can contribute to this great community support program.